Prague is one of those cities that seems to completely transform itself from day to night and season to season. 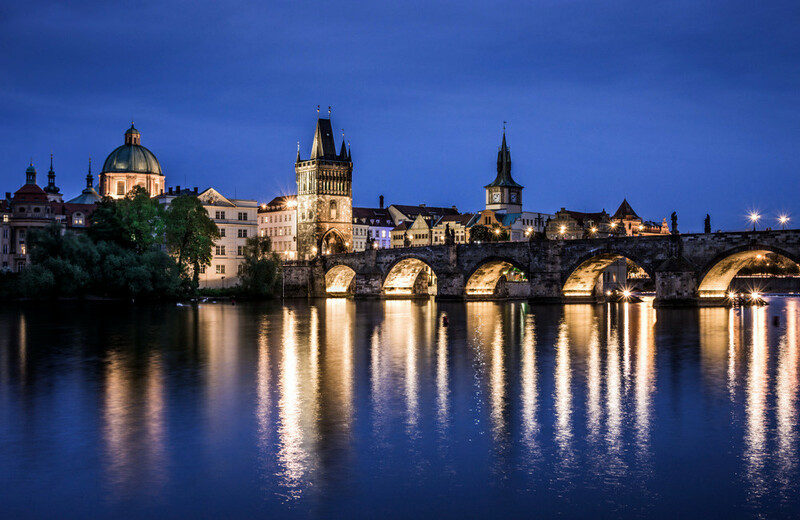 The city you explore in the morning will seem entirely foreign to the one you discover after sunset, and the Prague of summertime is dramatically different from Prague in the winter. 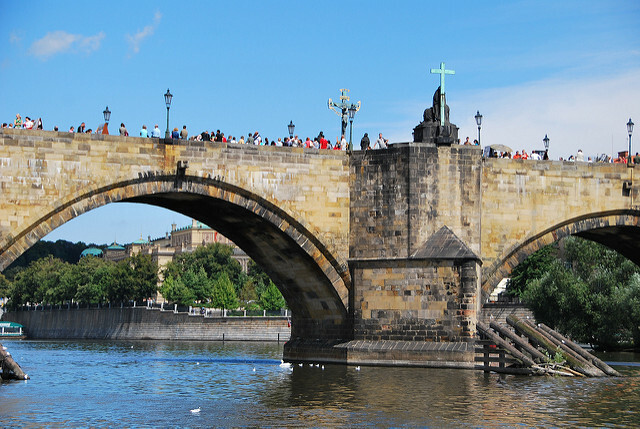 Each of these different version of Prague has something to offer, and you haven’t really experienced the city until you’ve seen it from all angles. If you’re looking to get the full array of Prague experiences, I’d recommend finding centrally located accommodations. 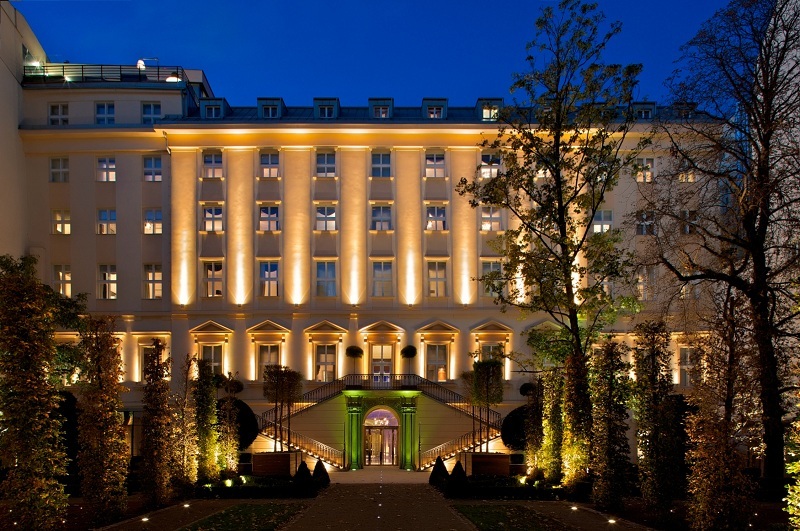 For those looking for a bit of luxury, The Grand Mark Prague offers the perfect combination of five-star elegance and exceptional location. Just a short walk from the city’s Old Town, The Grand Mark is just far enough away from the noise and crowds, but close enough that you can get anywhere relatively quickly. Plus, its beautiful courtyard and garden area is the perfect place to relax and unwind at any time of day. Prague is a city that is best explored through long walks and idyllic strolls. 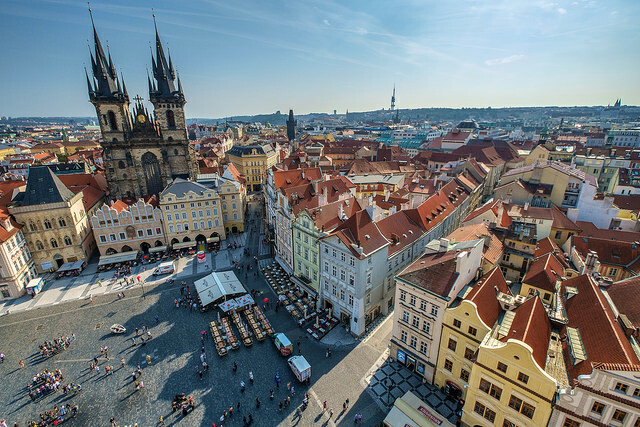 Kick off your journey in the Old Town Square (make sure you stick around for one of the hourly animations of the astronomical clock) before making your way over to the famed Charles Bridge. 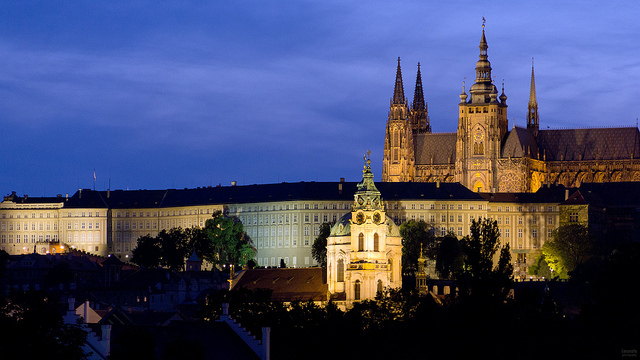 From there, you can wander up the hill to Prague Castle. While this path may be bustling and well-worn, it’s also well worth the visit. Even further up the hill, you’ll find Petrin Tower, which – along with being a bit less touristy and chaotic – offers an incredible panoramic view of the city below. If all the walking tires you out, you can always access Petrin Tower by cable car. After dark, all of these sites seem to transform entirely, from cultural and historic landmarks into dreamy nightscapes. The city is lively and vibrant at all hours, and you’ll love revisiting your daytime itinerary with fresh eyes, under the hazy glow of street lamps. Another great way to soak up the sights and vibes of the city – particularly in the summer – is to rent a paddle boat along the river. It’s a peaceful way to escape the throngs of tourists, while still feeling like you’re in the middle of the action. While Prague may often feel crowded, there are plenty of ways to explore the city’s quieter side. The city’s Letna Park, for example, is a peaceful, sprawling refuge located just a short distance from the Prague Castle, and a great place to enjoy a picnic. Grab some smazeny syr (deep-friend cheese), grilovane klobasy (grilled sausage served in a roll), or one of the many other popular street foods from an Old Town vendor and enjoy them amongst the park’s lush greenery. Prague is well-known for its exceptional street food offerings, which continue to become more diverse year after year. 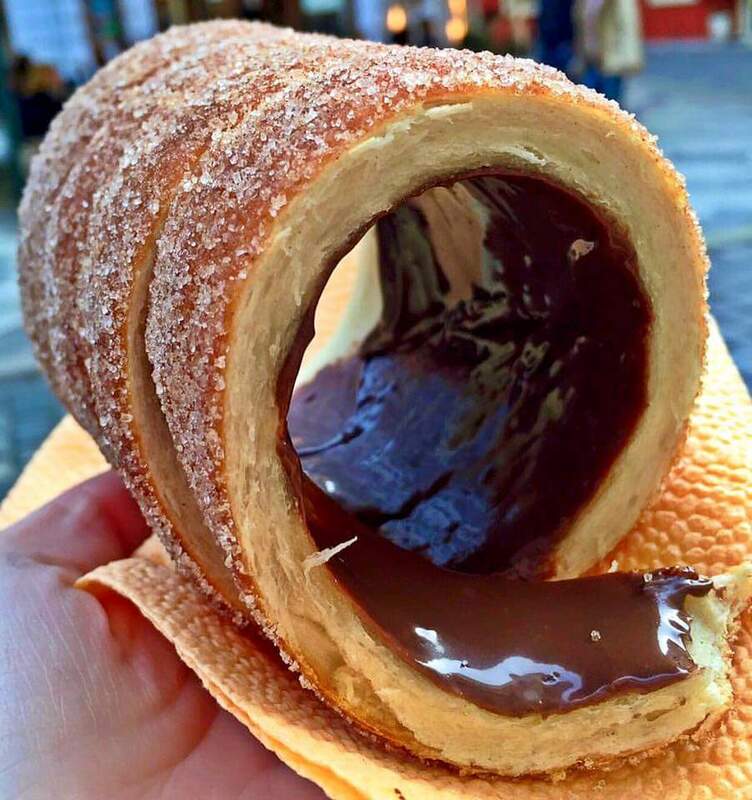 Perhaps most famous is tredlnik, a sweet rolled pastry covered in sugar, cinnamon, nuts, or Nutella – it’s an absolute must-try, and a delicious after-dinner indulgence. 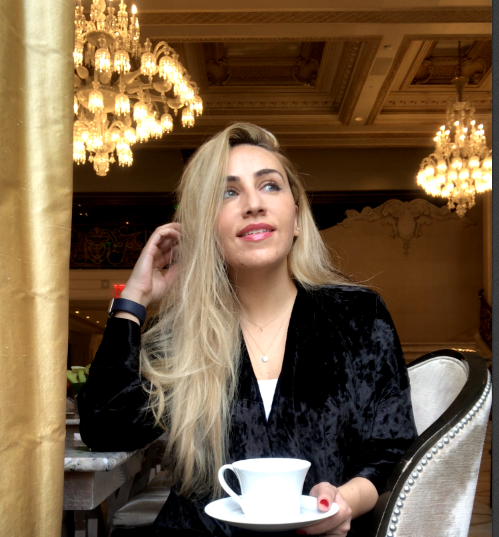 Of course, if you’re looking for a more upscale dining experience, the city does not disappoint. Kampa Park, located along the riverbank near Charles Bridge, is a delightful culinary experience, and in the summer, its riverside patio is the perfect place to enjoy a picturesque lunch. Meanwhile, on the opposite side of the river, Mlynec Restaurant serves up a trendy, modern twist on traditional Czech cuisine. 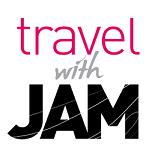 Its five- and six-course degustation menus change on a monthly basis, and offer up the best of the country’s seasonal food fare. The trick to really enjoying Prague is to explore it from all angles: from Old Town to New Town, from daytime to nighttime, from season to season. It’s a city that never fails to delight and surprise – and it will always keep you coming back for more. It’s magical! I want to be here one day!